If you are a leader in any sense of the word, in any type of organisation, you should have this book on your shelf. This is a rare book because it fits in the category of biblical how-to guide. It is intensely practical while maintaining a firm biblical worldview. 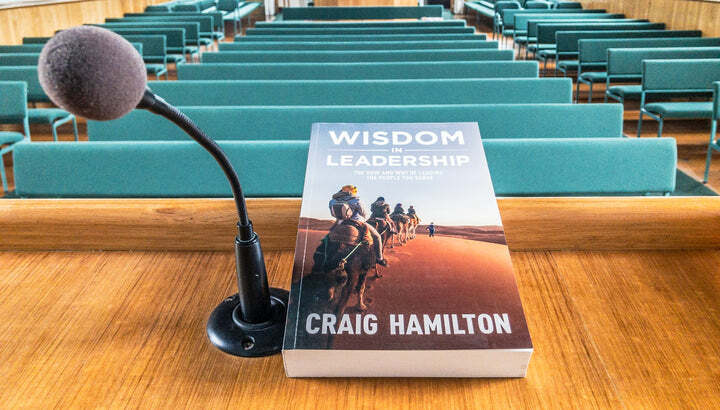 Craig manages to seamlessly weave the Biblical-worldview into the short chapters addressing leadership wisdom. Craig and the publisher, Matthias Media, suggest that this book is for pastors and church leaders but I honestly think they are selling themselves a bit short. Having worked for a large multi-national and seen a little of how leadership is approached there, I would recommend the wisdom found in these pages for Christians in leadership positions in purely secular organisations as well. I think it could be a great asset to help leaders live out their faith at work. I suspect advice like plan “prayer into the centre of every team gathering or meeting” may not be able to be worked out in the secular workplace but there is enough actionable advice to keep the reader thinking and changing. And I wonder what would happen if Christian leaders in secular jobs prayed for their work like a pastor should! The book is organised into four sections each with numerous short chapters. The sections deal with Leadership Foundations, Leading Yourself, Leading Others and Leading the Ministry. With most chapters sitting at 5-8 pages long, I found reading one to four chapters a day very useful to keep me thinking about how to lead well. At the end of each chapter there are some suggested related chapters. I found the chapters so engaging that I would at times keep flicking through the to the related chapters to get more thought-provoking ideas – much like a choose your own adventure book. With chapter titles like “Prayer is mandatory” and “Don’t let what God wants you to do get in the way of who God wants you to be”, this book is set on Biblical foundations. And yet, chapter titles like “Shut up and listen”, “Find the awesome” and “Ignore the org-chart” show that this is a very down-to-Earth book with very actionable advice. This is a book that I will be returning to again and again and I hope many other leaders both in the church and in the secular workforce will do the same.